Previously some of you may have notice the good looking female figure that did a camo in previous entry. Who is she? Where's she from? 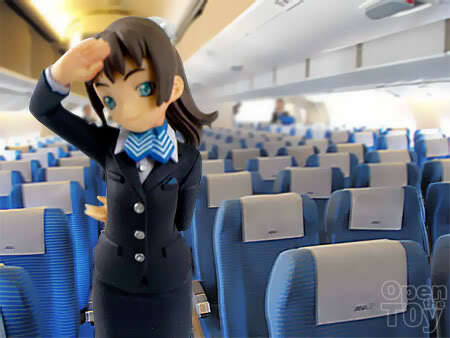 She is an Air stewardess in ANA. She was produced by Kaiyodo and sold back in 2005. 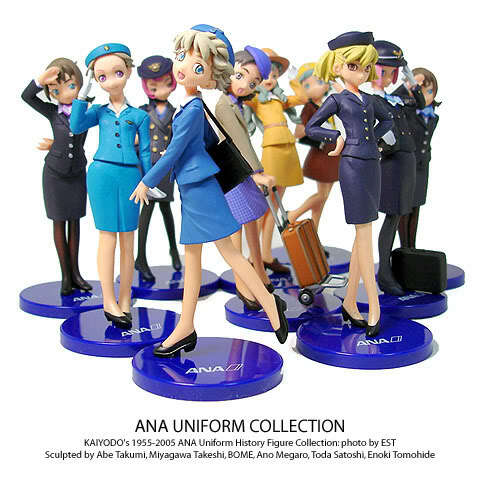 ANA came out this series as a collection documenting the uniform of the air stewardess in ANA's history. 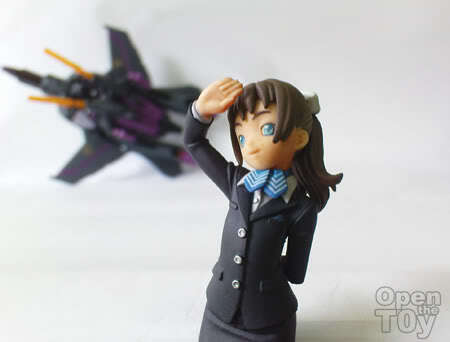 The figure measures 10cm tall and was sold for 450 yen and the Uniform was the most up-to date in the year 2005. This is the latest (9th) uniform in ANA stewardess history. 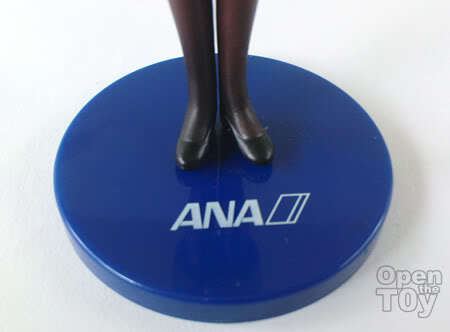 Although this figure can balance itself, it still come with a ANA's stand. Normally they were sold in set but I was fortunate to see this figure sold individually. 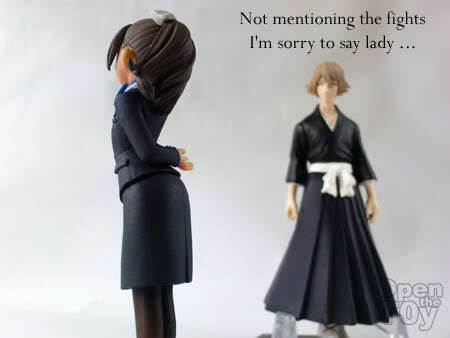 Most of the figures of that series are cute and good looking. I have never taken ANA flight before but I heard that ANA had dress some of their plane with POKEMON design. 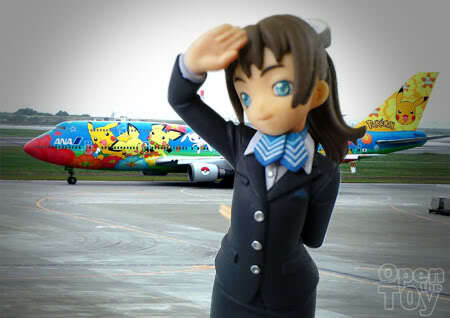 With such cute uniform figurine and cute pokemon plane, ANA gave me a good impression of youthfulness and dynamic airline. I would very much like to be welcome by her on flight. 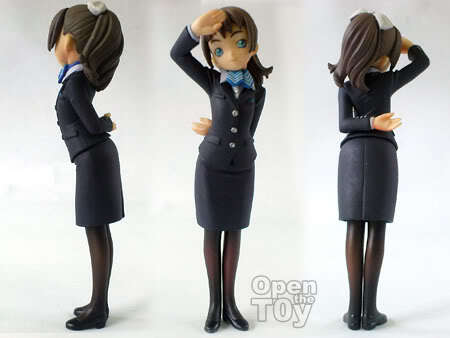 Today this Stewardess works for my own toy Airline. Come fly the friendly sky? Okay maybe not so friendly. :P Have you taken ANA flight before? 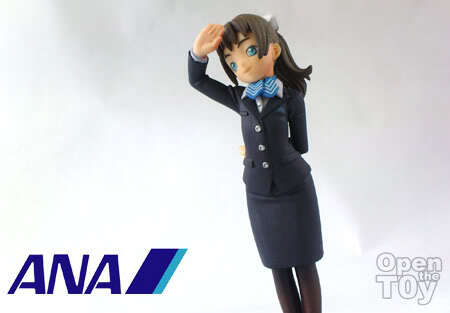 Kawaii ANA flight attendant. I really like the last 3 pics. How did you do that? The first 2 photos are done up digitally with 2 real background photos while the final one is using macro mode focusing on the stewardess having the animated skywarp in the background.